This past Friday, General Motors announced Cadillac will spearhead the automaker as it transitions to an all-electric future. The United Auto Workers union quickly responded with a statement that urged the automaker to build its future electric cars in the United States. General Motors builds some of the finest cars, trucks, crossovers, SUVs and vans right here in the USA. We are hopeful that these new products will be built here to show a commitment to all of America. We invested in GM. Now it is time for GM to invest its future in us. On Friday, GM held an investor conference where it announced the shift in strategy for Cadillac. 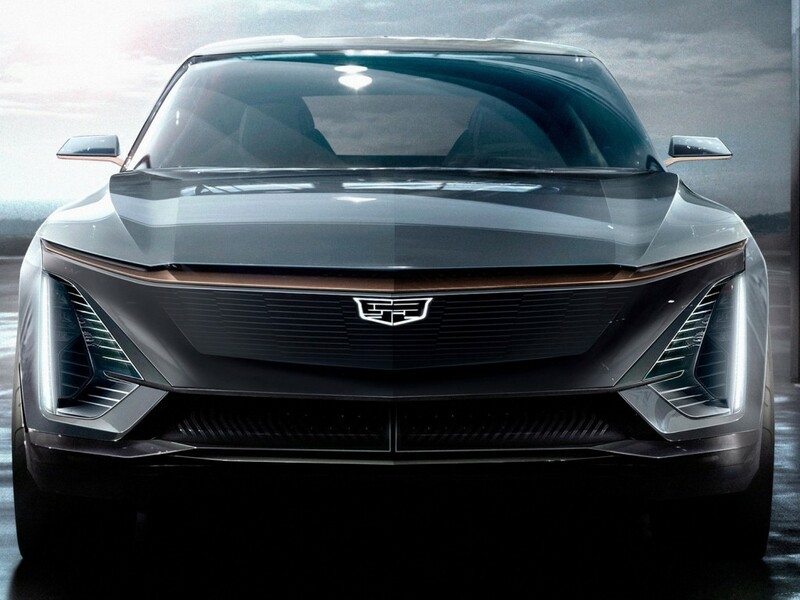 It also dished out the first details on a new modular electric-car platform called BEV3, which the first Cadillac electric vehicle will be based on. The architecture will span GM brands, according to GM President Mark Reuss. Cadillac surprised media in Detroit on Sunday with a first-look at the electric vehicle, too. The brand showed off an unnamed electric SUV with few details that will launch early next decade. Expect over 300 miles of range from the electric powertrain. The BEV3 platform is also capable of underpinning front-, rear- and all-wheel-drive applications. We’d certainly hope Cadillac utilizes the latter two options for its SUV. The UAW and GM will likely continue to trade words as we progress through 2019 and GM executes its restructuring plan. The plan calls for four U.S. facilities to go idle: the Lordstown plant, Detroit-Hamtramck plant, a Warren, Michigan, transmission plant and a second transmission plant in Baltimore. Although each facility will go idle, GM will need to negotiate their final closure with the UAW this year as the current labor contract expires this September. The move to shutter the plants will leave thousands of UAW members without a job, though GM has said it’s committed to transferring affected workers to plants in need. Ridiculous trend of these mega fake brake ducts. Such an eyesore like a bad zit. Why does it matter where it’s built? Does it benefit the company? You people realize that GM has to make a profit in order to keep its doors open. So there’s no way GM can build every car and truck within the boarders of the US. Where a car or truck is built should not be the focus, where the profits go from that vehicle is what should matter! It matters to the working class, if not to the investor class. Back when America was great, it once mattered to our political class, now not so much. Back then we had real protective tariffs and real “free” trade in a balanced global market. Now we have “trade deals”, the antithesis of free markets. So it is no wonder that corporations go where economic conditions are most advantageous to their bottom line. Without trade deals the US would eventually have nothing. Mexico now have close to 60 free trade agreements and they’re absolutely booming and they’re eating your lunch. Despite the rhetoric, nearly 1.5 million Mexicans have gone back home to better conditions. You have no deal with China and they have nearly completely decimated the US. They’ve been ra ping and pillaging the US for decades without restriction. Bob White: Yes, if you accept that trade should be regulated by government biased (bribed?) deals influenced by economic entities and governments for their potentially selfish interests, rather than by rule based tariffs openly arrived at by balancing currency values, the cost of environmental and safety regulations, etc, for, in theory at least, the common good and “real” free trade by buyers and sellers within a hopefully balanced market. What galls me is when government interference with trade (trade deals) is called “free trade” by globalist economists and politicians. I guess “good” trade deals are better than “bad” trade deals, but it seems to me, up to now, our globalist politicians have produced only bad (for the US) trade deals, particularly with China. There are no deals with China. China has very small tariffs in some segments but essentially has full access to the US market. That’s the problem. In return, US companies can’t start a business in China, must get a majority Chinese partners, Cars can have up to 60% tariffs on imports, intellectual property is dismissed and Western companies get a regular shakedown for their intellectual property which is quickly disseminated to their State Owned enterprises. I call that Communism 2.0 where capitalist tools are used to defeat the capitalists. And it’s working brilliantly. Bob White: Good analysis and I agree completely! Since we allow their products into the US almost duty free, and ignore our own laws on intellectual property theft, I call this a bad trade “deal”. I’m not sure they are brilliant, or we are incredibly stupid (or corrupt). To me the only answer, short of war, is severe retaliatory tariffs and sanctions while we still have the military and economic advantage over them, or eventually we will have war. What are we waiting for? Another golf game with Chairman Xi? This is not even a CUV and certainly not a SUV! It’s a rendering of a hatchback at best. The Germans will have fullblown EV SUV’s and CUV’s5 years before gm wakes up and sell them worldwide not just china and the us. Always too late to the party in the wrong outfit, that’s gm and cadillac(k) for you.